The GOP is the pro-business party and this is a historical moment in Michigan’s history as we are in the genesis of a new industry. The recreational marijuana business is budding and the government has until December to finalize all the regulation needed to begin retailing throughout the state. This is the time to pay attention to our law makers as they develop all the rules and regulations. Our April 25th meeting will focus on this as our featured speaker will be Josh Hovey, founder and communications director of the Michigan Cannabis Industry Association. We will also have a speaker from a leading cannabis lobbying firm as well as someone from the industry itself. There is lots of interest in this business and we hope to get the answers. This will be the last monthly meeting until Fall as we shift to more social events such as parties, parades and picnics during the warm weather months. Last month’s meeting featured a presentation on No-Fault Auto Insurance Reform on the eve of another price hike, from Lana Theis, Chairman of the Senate Insurance Committee. She spelled out the problem and reasons for the continuing price increases but did not provide the solution. As we see it, the elected officials, who ran on fixing the problem, have until the next election to get the job done. We will visit this issue again. This Fall, we will also look at the huge budget of Oakland County Schools. The last Two monthly meetings we put on Facebook Live. We didn’t promote it because it was a test but still we had many viewers and lots of expression of appreciation of it. We will continue to do Facebook Live and with improvements to the sound quality. It is possible to see our past two meetings at our facebook group and page. “I will reform auto insurance” was a promise from just about every candidate last year regardless of party. Michigan having the highest rates in the nation has made this one of the top issues among voters. The result has been a lot of activity in Lansing and we are on the verge of change. Representative Lana Theis has consistently championed this cause and will be at our March 28th meeting to brief us on the proposed reforms. 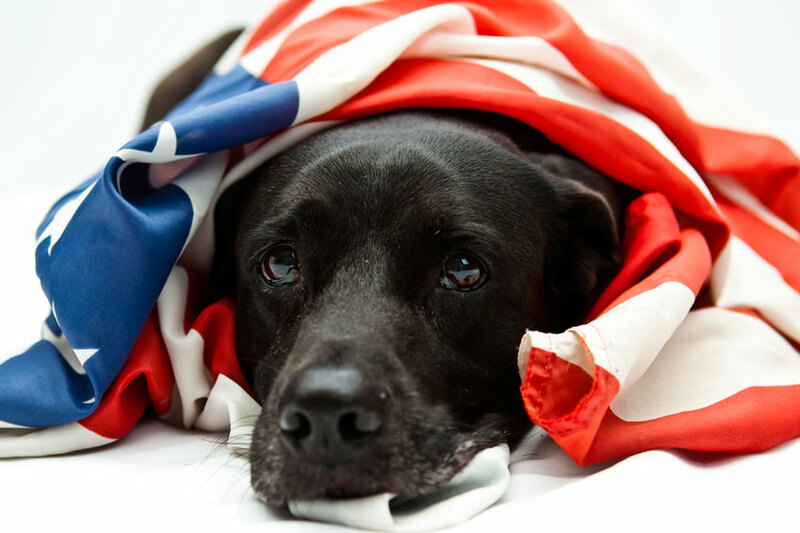 Last year the United States Supreme Court eliminated the federal restrictions on online gambling. Now the legislation introduced by State Senator Kowall is carrying forward and is about to legalize it here. Senator Kowall will discuss this with us at the March 28th meeting. Also, mark you calendar for April 25 as we will have the head of the new Cannabis Industry Association. Boarder security and building a wall has become one of the most significant political focal points we’ve ever seen, so we thought it would be fun to host a debate on the topic for our February 28th meeting. Arguing on the “pro wall” side will be Jasmine Early, Republican Sterling Heights Councilman, and on the “against” side will be Laura Dodd, former Democrat nominee for the Michigan House of Representatives. As always, there will be an opportunity for audience participation. We will also have a discussion by Representative Mike Webber on his bill to convert the Michigan legislature to “part time” and a report by Maryn Sedsuda on Turning Point USA. We are monitoring several significant activities in the legislature to present in future meetings. The March 28th meeting will feature reforms to auto insurance and civil asset forfeiture. Our April 25th meeting will up-date on what’s going on in the new recreational marijuana industry. So mark your calendars and we will do our best to keep you informed and involved. Presenting both sides of the issue by experts is the best way to achieve our mission to inform, educate and engage our members, and the public, on relevant issues. Last month we hosted a panel discussion on the concept of creating a “school marshal” system to protect our students from a mass shooter. The panel was balanced with a school superintendent and a career teacher, in opposition; a state representative and a lawyer/policeman/gun instructor in favor of it. Over a hundred in attendance interacted with the panel. On April 26th NORC will host a debate on the ballot initiative to legalize marijuana for recreational use. “Regulate Marijuana Like Alcohol” collected over 325,000 signatures to get the issue on the ballot this fall will be represented by John Truscott, the head of the PR firm commissioned to promote the initiative. “Smart Approach to Marijuana” (SAM), the main opposition group, is sending Scott Greenly, of Healthy and Productive Michigan, to argue against it. On May 24th, NORC will host a forum of the of the republican attorney general candidates. This event will be held at the Waterford Township Hall to accommodate more people. We will give NORC members, in good standing, the ability to submit questions in advance for the candidates through our web site. You can become a member or renew in “good standing” at our next meeting or at norc-us.org. On June 7th, the 11th CDRC is hosting a debate of the Candidates for Congress for the 11th Congressional District and NORC members in good standing will have the opportunity to provide questions through the comments area of this web site. The venue is the Livonia City Hall at 7:00pm. February marks my one-year anniversary as president of NORC and thus the board of directors has suggested I write a review. We began the year with a presentation by Joe Cohn of FIRE (Federation for Individual Rights in Education) on the assault on free speech on our college campuses. Joe flew in from Philadelphia thanks to the invitation from Representative, Jim Runestad, former NORC president. 2016 was a crazy election, with recounts and accusations of fraud. Michigan’s Secretary of State, Ruth Johnson, a good friend of NORC, explained what happened at our March meeting. 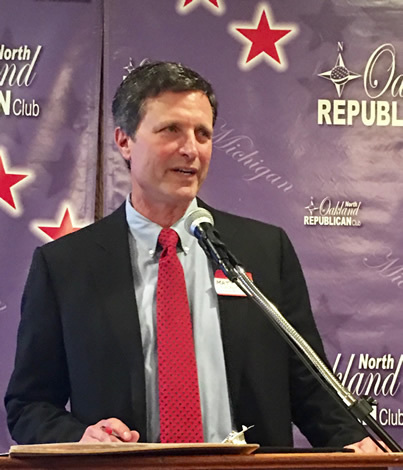 April’s meeting, being income tax month, was a good time for the chairman of Michigan’s House Tax committee, Jim Tedder, a good friend of NORC, to come talk about the effort to eliminate the state personal income tax. The May meeting examined efforts to legalize online gambling, by NORC’s good friend, Senator Dave Robertson, and a presentation by Jamie Lowell of MILegalize, one of the groups behind the referendum to legalize recreational marijuana. Jamie agreed to come back for a debate which we are planning on the eve of 4/20 for our April meeting. In June NORC ventured out to NOVI where we were the well greeted by fellow republicans happy to experience one of our meetings in their city. We welcomed the president of the Michigan Economic Development Corporation, Steve Arwood, as his last public event before leaving that organization. The Suburban Showplace, which benefited from the work of the MEDC was the meeting venue, thanks to Dave Staudt. Once again in July the NORC float proudly participated in the Waterford Independence Day parade. September being the “back to school” month, featured our meeting topic on the governor’s 21st Century Education Commission report presented by its chairman, Dr. Thomas Haas, president of Grand Valley State University. NORC’s October meeting featured Lana Theis, the chairman of the house insurance committee, explaining her legislation to reform Michigan’s No-Fault Auto Insurance. This was days before the vote in Lansing, and our meeting featured protesters and was reported by Detroit’s NBC news affiliate. Lt. Governor, Brian Calley was invited to our November meeting to present on his referendum to convert Michigan’s legislature to part time. He took the opportunity to announce his campaign for governor days before the NORC meeting. We kicked off 2018 with Dr. Robert Rudowsi, president of MCRGO (Michigan Coalition of Responsible Gun Owners), to explain the legislation to eliminate gun free zones. The Michigan Education Association declined our invitation to attend the meeting and present the opposing argument. This meeting also featured the second gubernatorial candidate to introduce himself at NORC, Pat Colebeck. 2018 is an important election year as it has many open seats and significant referendums. NORC will continue its mission to inform, educate and involve by bring you the top candidates and the people behind the ballot initiatives. We will also be adding some special member’s only events to greater enhance your membership value. In the spirit of tax reform, NORC’s operating board unanimously has voted to dramatically lower membership fees and simply membership moving forward. As such, moving forward all membership fees are 20.00 dollars in person or via check or 25.00 dollars online. In addition to the great changes to our membership fees, NORC is working on members only events and other great items coming in the future. Be sure not to miss out and sign up today.